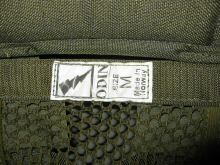 CATO-RINGSTAD - Soldat 2000, also known as Hjelm 'Cato'. 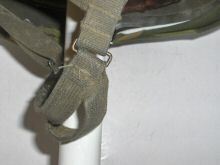 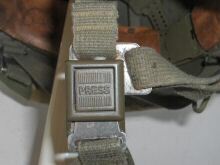 Unusual headband arrangement, fixed with velcro at front and two tags at rear. 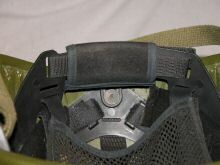 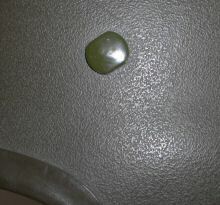 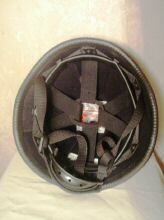 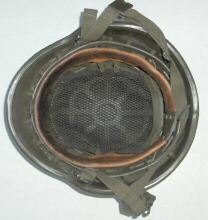 For more photographs, including a view of the helmet's separate parts, see Joseba's webpage here. 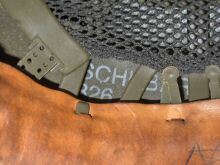 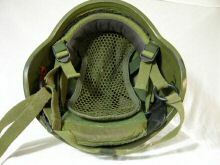 "I've not been able to uncover much about this company other than references to ballistic plates. 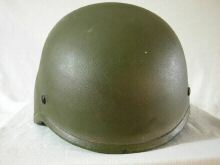 The helmet itself is in pretty much mint condition and the serial number is very low - it may have been a test, display or demonstration piece. 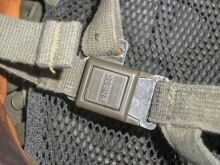 The webbing is not the usual black "plastic" found on most composites - it's almost Soviet-esque in colour and feel. 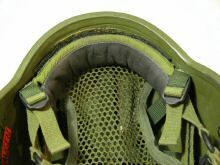 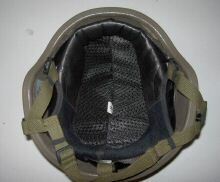 The liner follows the usual pattern....pads front and rear with netted crown support. 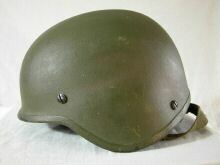 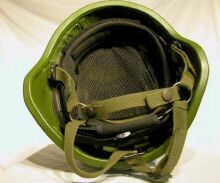 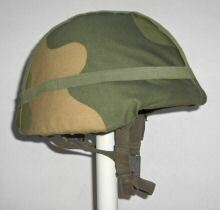 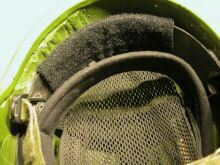 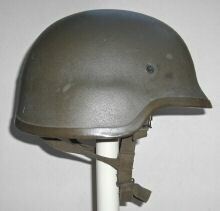 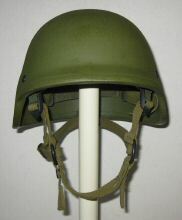 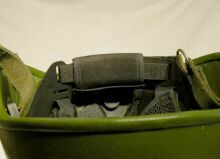 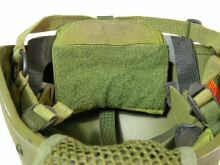 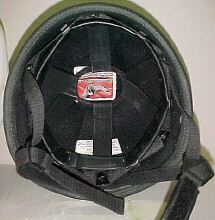 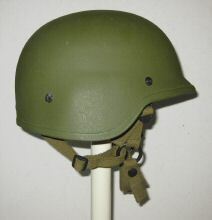 Weight 1.32kg (Medium)"
There is no solid evidence this helmet was used by the Norwegian military, but at least one example has been acquired after use in the Finnish Army. 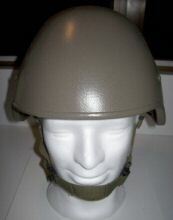 Many similarities to the Odin helmet shown immediately above, but clearly a variant. 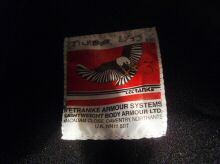 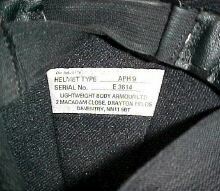 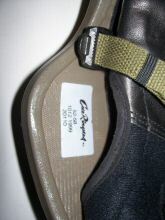 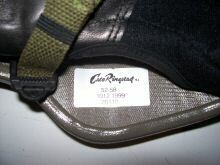 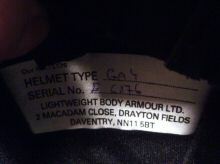 No manufacturer labels in this example so date not known. 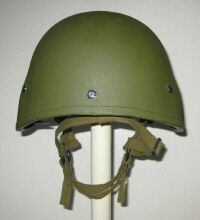 Differences of the Adrian Blake example above include placing of bolts in rear sides, and larger and differently mounted rear pad which entends much more beyond the helmet rim, and distinctly longer or lower placed rear chinstrap retention loop. 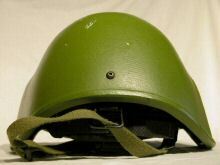 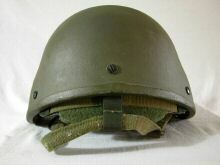 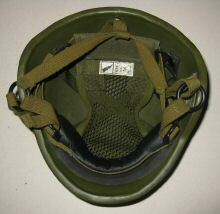 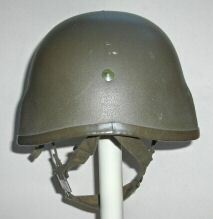 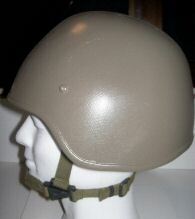 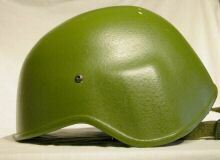 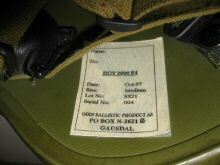 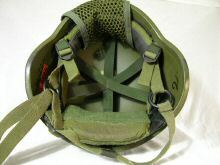 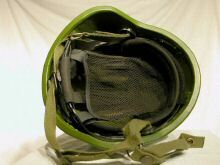 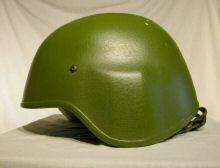 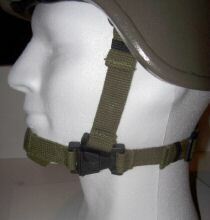 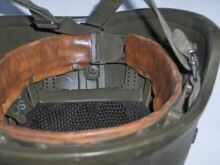 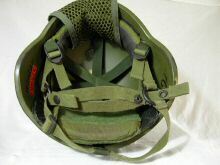 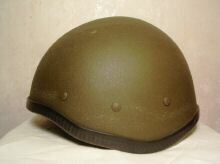 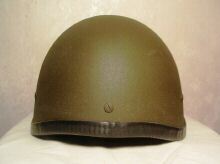 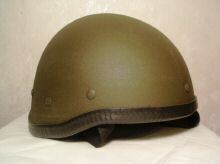 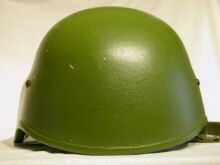 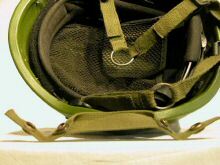 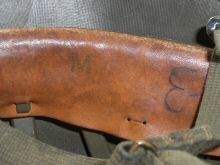 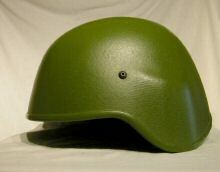 This helmet is of UK manufacture, but is known to have been used by Norwegian forces in Bosnia in the 1990s. 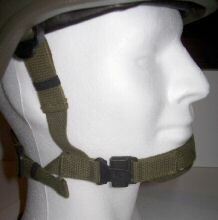 TETRANIKE GA4 - same as above? 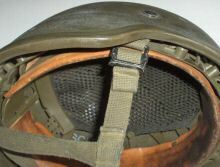 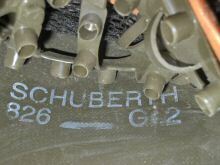 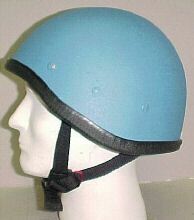 SCHUBERTH 826 - details of Norwegian issued helmet.